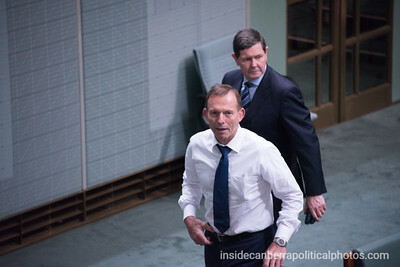 Tony Abbott makes his way out of the chamber following a division with his backbench colleague Kevin Andrews. 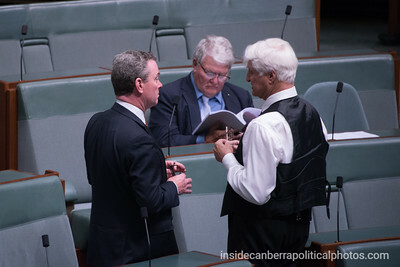 Christopher Pyne chats with Bob Katter. 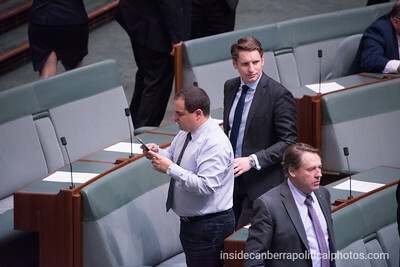 Keeping him onside if Barnaby is tossed out? 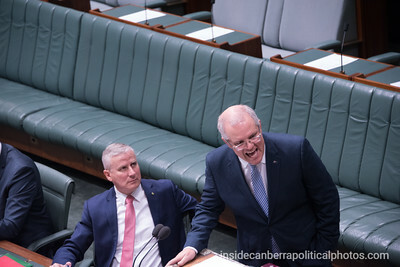 Scott Morrison looks across at the Deputy Speaker as he waits his turn to speak. 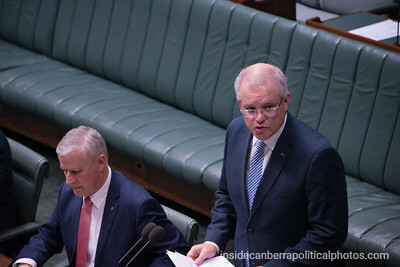 Treasurer Scott Morrison speaking about Labor's proposed changes to bring back a budget repair levy. 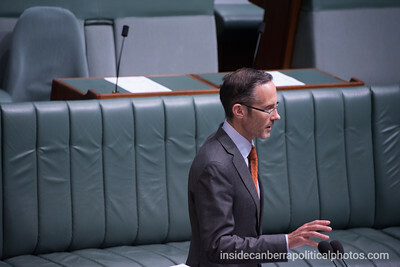 "Once again I'm disappointed that the shadow Treasurer has not come in here and owned these amendments himself. 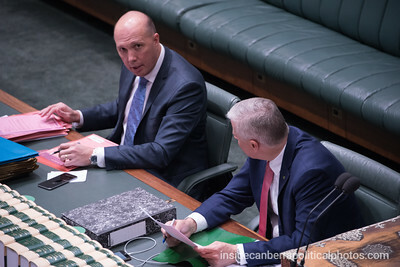 He is as gutless as he is heartless in the way he has engaged with this issue. 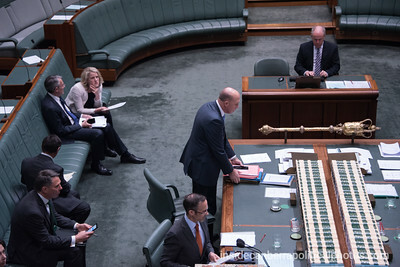 Going through the things that have been put forward, once again, under the cover of a bill that talks about the National Disability Insurance Scheme, we see the Labor Party is using this as an excuse to raise taxes." 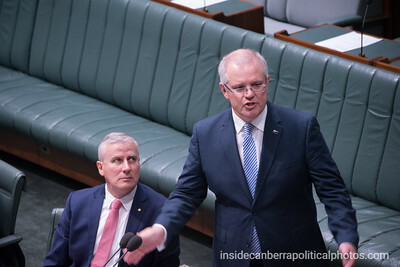 Scott Morrison, "This is just a tax grab sought under the cover of a bill seeking to provide support for the National Disability Insurance Scheme. 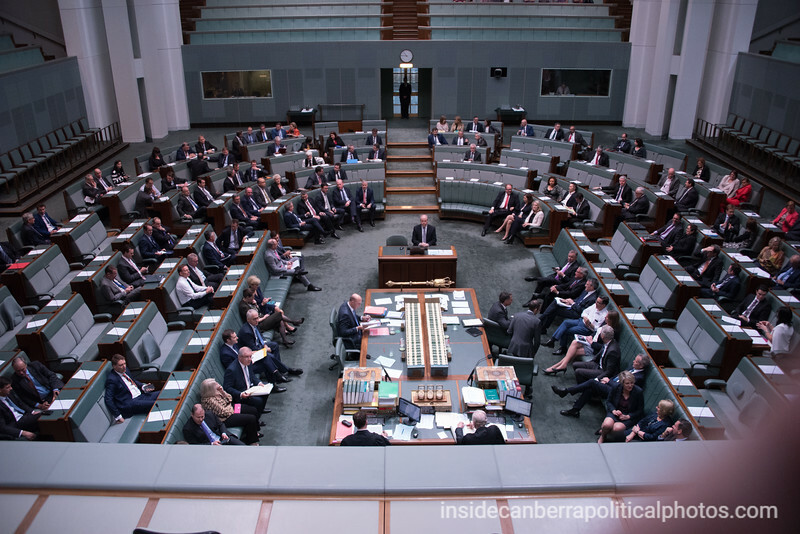 Labor has no intention of providing any support for the National Disability Insurance Scheme through raising these taxes. 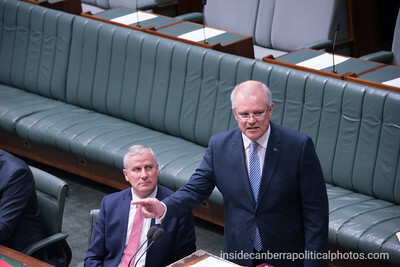 This is just another episode in Labor's class war to raise taxes on Australians who work for a living and provide a disincentive for them to do even better." 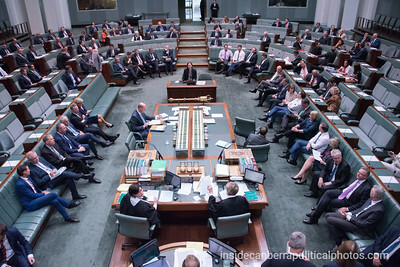 Scott Morrison, "Under the Labor Party, this amendment would take the top marginal tax rate, with the measures already passed by this House already today, to 49.5 per cent. So the great reward you get for your effort is you work one day for yourself and one day for a Labor government." 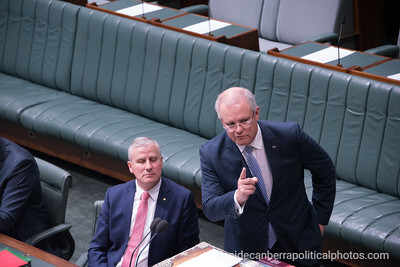 Scott Morrison, "They're not much worth working for in the first place, but you shouldn't be charged more for the privilege; you're always charged more for the privilege of serving under a Labor government in this country." 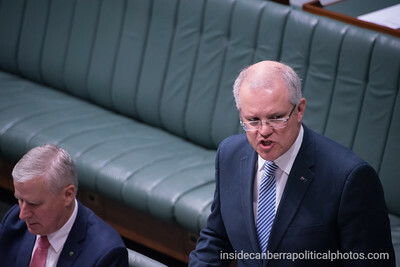 Scott Morrison, "Labor is addicted to taxes for one reason only—that is, they are addicted to spending. 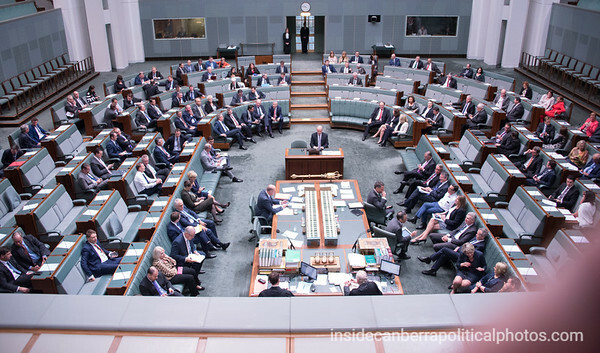 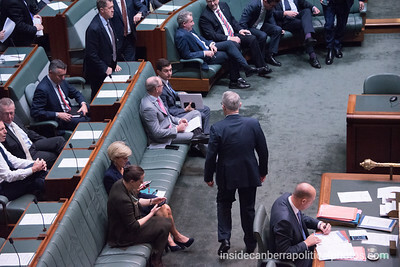 The budget would be $14.7 billion better off right now if it weren't for the constant opposition of the Labor Party as the government has sought to repair the budget mess." 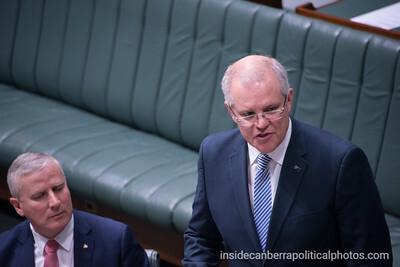 Scott Morrison, "This measure won't go to reducing the deficit. 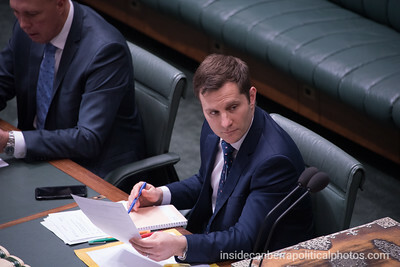 Labor's deficit will be higher than the government's because the budget deficit in the last fiscal year was under two per cent." 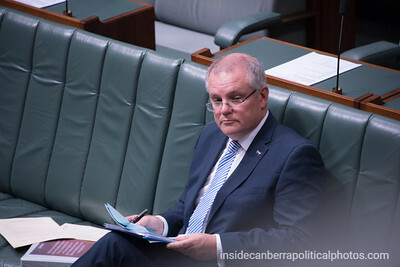 Scott Morrison, "Yet it's recommended here by the shadow Assistant Treasurer, and I have no doubt that's why the shadow Treasurer wouldn't dare show his face in this place to speak to this amendment, given the pathetic hypocrisy he is displaying in bringing this amendment forward." 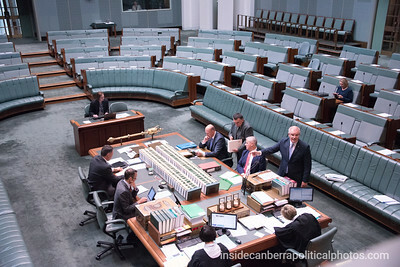 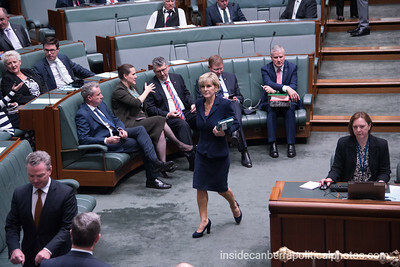 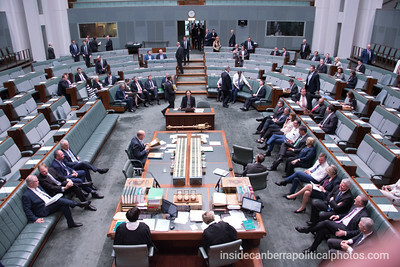 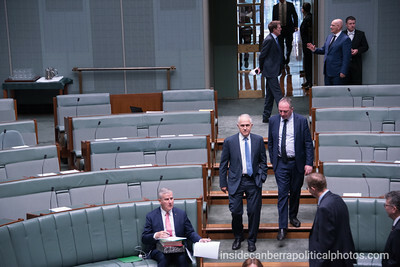 The Prime Minister and Deputy Prime Minister walk into the House of Representatives for a Division. 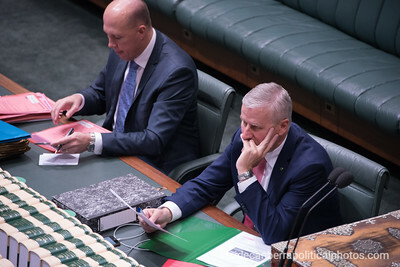 Time to lock the doors. 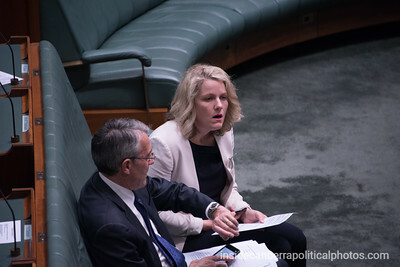 The noes won 73-66. 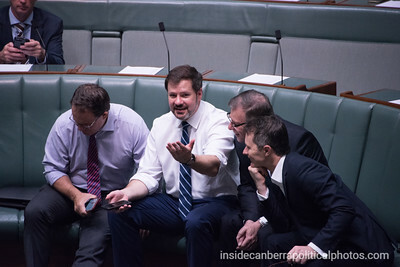 Some Labor Party MPs found something interesting on Ed Husar's phone. 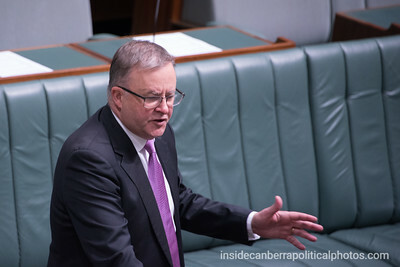 Anthony Albanese speaking about thet government's attempt to abolish the Building Australia Fund. 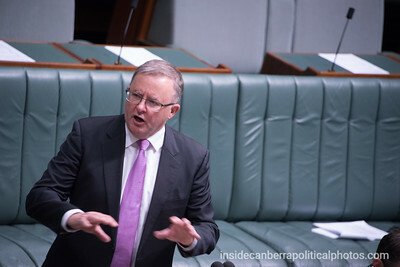 Anthony Albanese, "We funded, through the Building Australia Fund, the Regional Rail Link, which has transformed the linkages between Melbourne, Geelong, Ballarat, and Bendigo. 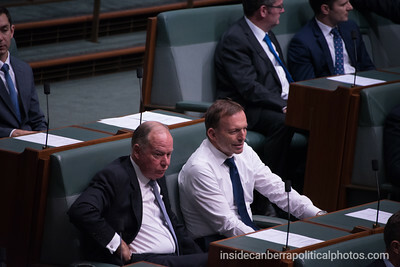 It's a project that had an allocation of some $3.225 billion by the Commonwealth government"